The Austen Authors welcome 2015 with HIGH enthusiasm! Mark your calendars, dear readers, because THIS is the month when our beloved blog will spring to life. Whoo Hoo!! The official date for our Grand Re-Opening Extravaganza is SATURDAY, JANUARY 24. As a special treat we are offering a GIVEAWAY especially for those visitors who share this fabulous news with anyone and everyone far and wide. Just Tweet, post on Facebook, share on your blog, pin on Pinterest, and so on. 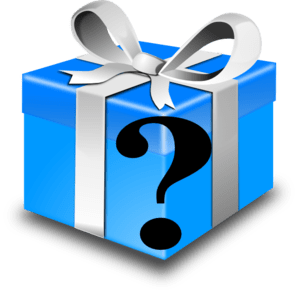 The lucky winner (or winners) will be announced on January 24, our official re-opening day, the prize a mystery box of coolness from the Austen Authors. Yippee! ← Merry Christmas Wishes from the NEW Austen Authors! 25 Responses to A HAPPY New Year Indeed! That was a very fun idea for a calendar–those incredible houses! Can’t wait for the re-launch! Congratulations ladies! You’ve got some wonderful authors on this site, several of whom are friends, and I wish you every success in the coming year. Happy New Year from Australia. Glad to hear that this group is taking off once again. Wishing you all the best for a wonderful 2015. I’m excited to see what you have in store for all our Janite friends! Best Wishes! So very happy for you ladies!! Cheers to an amazing 2015!! Glad you found us again, Jennifer. Very exciting! Looking forward to great things. Hello, Bonnie. I hope all is well with you. We appreciate your continued support. I am so excited that Austen Authors is returning! I have missed you all. Your site always made my day and helped me to be informed about the latest happenings. Thank you for deciding to do this. A great new year for sure! We have missed it also, Christa. Happy New Year! Love seeing your come back. Always happy to see more Austenesque to love. One can never have too much Jane Austen, that is for sure! It feels great to be back 🙂 Thanks Sophia. Hallo, Hallo dear sweet Austen authors! You’re beautifully lovely blog is one of the bookish joys I wanted to re-establish in my life throughout 2015 and beyond! 🙂 I discovered this happy place to converse with you in 2013 (prior to my first Austen in August!) & had planned to drop back in 2014 during Austen in August — then, as life ebbed & flowed, I simply wasn’t able to return at all! 🙁 I felt horrid, as I loved the blog posts, the wicked happy interactions and most of all, of learning about the lovely after canons available for all Janeites & Austenites who appreciate the beauty of what Ms. Austen left behind to inspire us all! I even *won! * one of Ms. Lathan’s novels during this year’s #ArmChairBEA! I cannot wait to dig back into my reading list I had posted during this year’s Austen in August! ( my Reading List for Austen ) I am so very happy I *caught! * the tweeting of Ms. Lathan as 2014 dipped into 2015 – I cannot wait to return and share Austen with all of you in this wicked happy New Year! Yeah Jorie!! What a wonderful message. And I appreciate your sharing our news 🙂 Please keep us in mind when you are planning for Austen in August. We are thrilled to be back, and have wonderful authors on board. Super exciting! You’re quite welcome! Did you know I had no idea the *Austen Authors* blog shut-down just after my last visit to the blog!? I went to look for the archives but I found the note about when it came to an end, and it honestly was close to December 2013 the last time I popped by! Goodness! And, here all this time, I kept thinking to myself those lovely sweet authors must wonder where I went as I was so excited to have found you! Oy vie. Wells, as said, at least you knew one of us (Janeites) was thinking of you all this time you were away! A bit kismet then, eh? How I found your tweets, the blog is having a Renaissance & re-launch, and I get to start over along with you? Quite wicked, if you ask me! Eek. And, guess what the best discovery was since I chatted with you? I found Ms. Jamison is here! I read her re-telling of “S&S” during this year’s Austen in August whilst participating on her blog tour! So inspired to continue, I’m researching which of her books are in my ILL Cat at my library! I just went through the Bio Page, found all of you lovelies on Twitter, discovered one of you was already following me (Darcy & Lizzy), and now, I get to tweet out bloglove until your Grand Opening! Happy New Year to you all! I’m very much looking forward to the grand re-opening. Hello, Sylvia. We are very excited for the new venture. Happy New Year. Looking forward to the grand event. Welcome back, Sheila. We are pleased you found us again. That is just great! I am so glad that you got back what is entirely yours! Amen, Susanne! Regina and I are revitalized, and will continue to express our love of Austen as we always intended.